The fourth season of The Walking Dead gave viewers many memorable walkers, but the Moss Walker is often known as one of the most recognizable. With this licensed Moss Walker Mask, you can now transform into this iconic fan favorite. The Moss Walker was found by Hershel and Carl rotting under a tree with its lower half detached and with moss and grass growing on him. 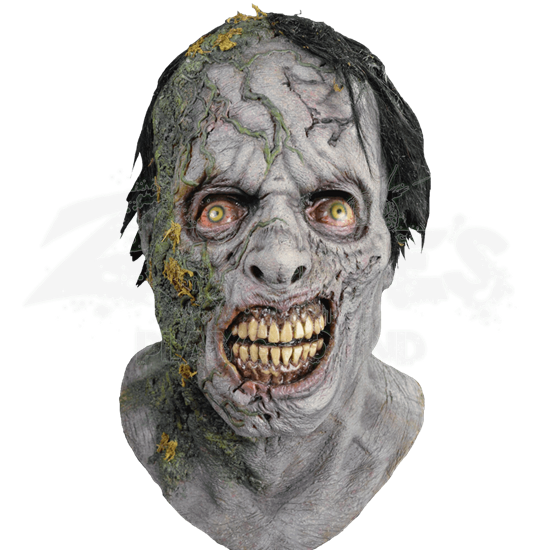 This mask stays true to character and features incredibly detailed moss growing on the face with rotting skin and a bloodthirsty expression. 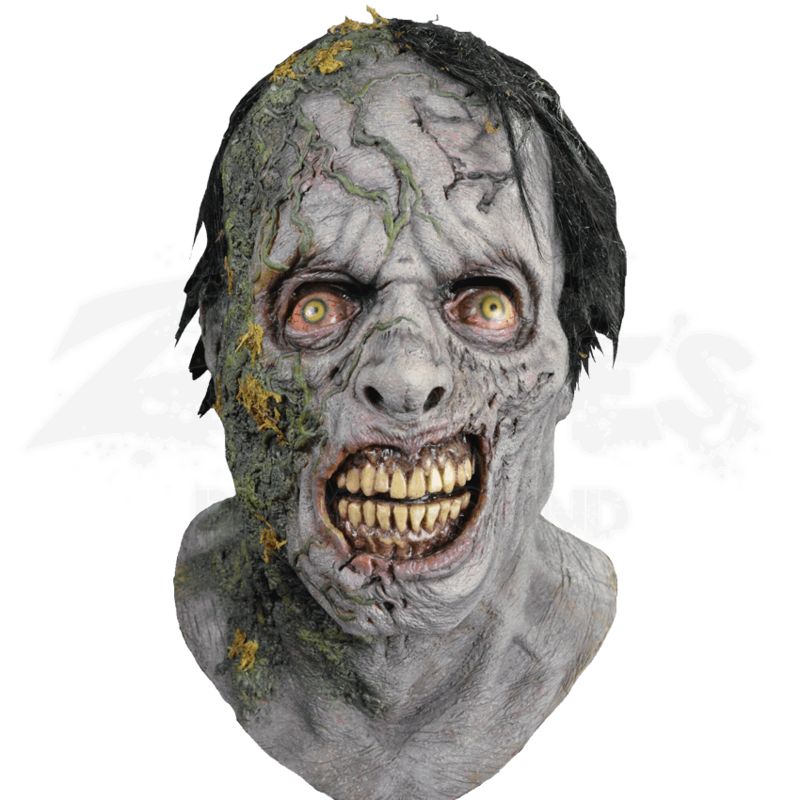 When you put this full coverage mask on this Halloween, people will swear you walked right of the set of the hit AMC show.